If one is looking some genuine jazz/rock virtuoso than they need look no further than here; Di Meola's celebrated release cooks with lightning dexterity and a '70's camp that oozes style and panache. More than any fusion album I've heard, Elegant Gypsy delivers crowd-pleasing jams that listeners across genres will be able to groove to. 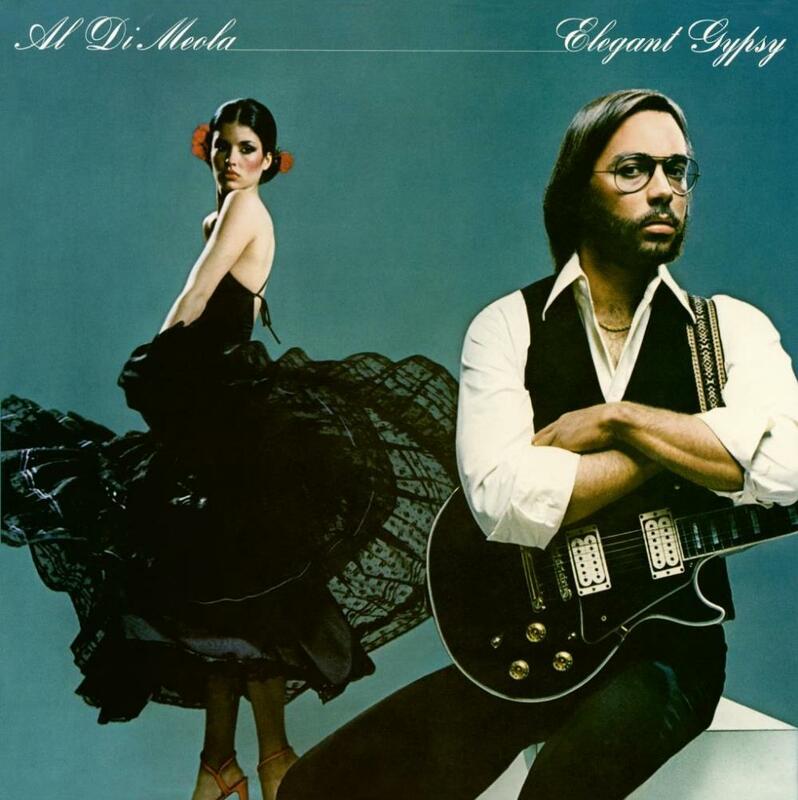 Highlights abound throughout this album, which features lots and lots of Di Meola's guitar (obviously)-- be it in a sensual legato or blistering flamenco. Songs here have a Latin feel to them, and we're given plenty of variety in tempo and composition, constantly keeping things interesting. His sound is very unique and instantly enjoyable, more so than some of the "other" fusion guys who favor experimentation over thrills (McLaughlin-- looking in your direction). Di Meola comes across as a showman, happy to dazzle the listener with energetic displays of proficiency, such as in the all-acoustic "Mediterranean Sundance". Support players give standup performances as well-- especially Jan Hammer's keyboards. One thing about this album which I think deserves special mention is its entirely dated production and super-slick feel-- which positively screams 1977. Listening to Elegant Gypsy is like stepping into a time machine... and it's great! The campiness contrasts with the musicianship so well that its hard to imagine Di Meola's performances without them. Most would probably find his hyper-fast noodling pretentious if not set against this rich palette of 1970's cheese. A must for fans seeking some energetic, exciting fusion-- on par and perhaps surpassing some of the best.